As humans become more conscious of their “Higher SELF” who is their Multidimensional SELF, they will feel more and more of a need, an urge, to focus on the Core of the planet. 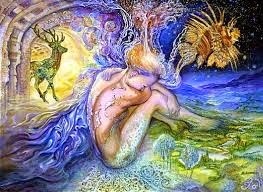 As more and more of humanity begins to “remember” that Gaia is a living being, they will begin to understand how person and planet are made up of the same elements of Earth, Air, Fire and Water. Also, just as each human has a core, so does Gaia. Therefore, when you focus on Gaia’s Planetary Body, you are also focusing on Humanity's Human Body. Furthermore, each “element” of humanity’s Earth, Air, Fire and Water interacts and affects each other. As humanity begins to “feel and accept” the higher frequencies of Light that are NOW entering Earth’s atmosphere, and therefore, all of her Planetary Life forms. As humanity becomes more and more aware of their own ascension process, they will become more and more aware of the planetary ascension. “What does ‘ascension’ mean?” you may ask. Ascension is a transmutation of the frequency of reality into the next octave of vibration. Transmutation is change, alteration and/or transformation into the next octave of reality. Just as only “awakened” humans are aware, they have a Core within them through which they can establish a conscious contact with the higher dimensional beings who are NOW orbiting our Galaxy to assist humanity on Earth with Gaia’s transmutation into the next octave of her Planetary Operating Frequency. 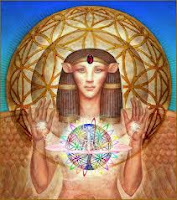 This “transmutation” will begin within the Core of Gaia’s Earth, as the Core of humanity's spinal cord. The Ancient Monks and Wise Ones knew that one day, likely in their distant future, that a higher frequency of vibration would enter Gaia’s atmosphere and move into Her Core. Within Gaia’s Core are huge crystals, which “keep the lights on” on Earth’s surface. Just as humans and animals have hearts that beat to keep us alive, Gaia has huge crystals that serve as Gaia’s Hearth. Unfortunately, there are still many humans on Earth who are not aware of Gaia’s Core or their own Core. Why is the human core, and Gaia’s Core are so important? The reason is that the force of Kundalini, which holds the alchemy to activate the “rise of humanity" and Gaia’s frequency of resonance. For humans, this activation begins within their Kundalini, which is the “force of transmutation” that is located in the core of humanity’s spinal core and human brain. The Kundalini Force lies latent within the base of a human’s spinal cord. 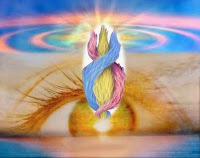 When Gaia’s Kundalini Force is activated, the transmutation of the spinal cord will begin at the base of the spin and eventually flow up into the brain. This transmutation will activate the latent fifth dimensional frequency of resonance within the core of Gaia and will expand out in all directions to move towards the surface of Gaia’s planetary SELF. This process is often known as Sacred Alchemy, which initiates one’s third dimensional self, to begin an accelerated frequency expansion to resonate to the fifth dimension. Sacred Alchemy, which only the most evolved of humans were able to learn, teach and share, is a philosophical/scientific tradition that was first practiced throughout Egypt and Eurasia. Alchemy is based on the concept of expanding the frequency rate of the earth, air, fire, water and ethers into the NEXT OCTAVE of resonance. We capitalize “next octave” to assist you to understand that a great leap in consciousness will occur for all humans, animals, plants, water, fire and air. Yes, after this great transmutation, ALL life will be considered as “living beings” in the same manner that humanity has been considered to be “living beings.” If any of your have visited Venus, you will understand how all life can, and does, communicate with ALL life. It is humanity’s illusion that humans are the most evolved beings on Earth, and will be revealed as a VERY small concept in the face of ALL LIFE resonating to the frequency of the fifth dimension. 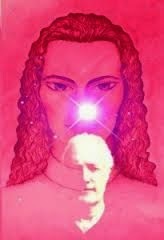 There have been “Ascended Masters,” who volunteered to come from their fifth dimensional home world to try to educate the third dimensional humans. We say “tried” because most of their teachings were misunderstood and misused. Therefore, the experiment came to a halt until the humans, who were supposed to be the most evolved beings, fell into the “Dark Night of the Soul” in which they all had to face and transmute ALL of their lower frequency, third dimensional actions, thoughts and words, into the higher frequency of the fifth dimension. Humanity still could not live 100% in Unconditional Love, which was necessary to complete one's transmutation into their fifth dimensional frequency of SELF. Hence, many Avatars and Holy Beings came to Earth to assist humanity to “remember that they are fifth dimensional beings from their perspective Home worlds. As they soon realized, holding a fifth dimensional frequency of resonance on a third dimensional planet was VERY difficult. However, each of the “avatars” were able to at least “plant the seeds of Love and Light” in the many realities that were ruled by fear and darkness. Some of these “seeds” grew and some died. However, the concept of transmutation slowly began to infiltrate more and more of humanity’s consciousness. 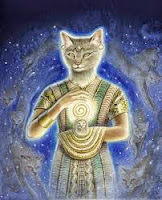 Therefore, more and more Ascended Masters (beings who had already become fifth dimensional beings on Earth, but were largely persecuted and killed, were able to transmute into their Lightbody once they left their third dimensional earth vessel. Sacred Alchemy began to expand into the hearts and minds of the humans who were able to gain mastery over their fear and to live within the protection of the fifth dimensional frequency of the Light. As you all know, many of these beings were murdered by the very humans that they sought to assist. However, there were always a few humans who were able to understand what was actually happening. There is a philosophical and proto-scientific tradition practiced throughout Egypt and Eurasia which aimed to purify, mature, and perfect certain objects. 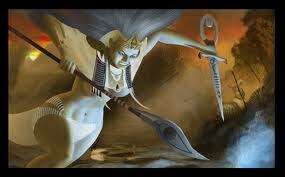 Dear Gaia has taken in too much negative, meaning fearful, mental, emotional and physical message. Yes, every human has within their higher fourth and fifth dimensional self the ability to commune and communicate with their higher dimensional expressions of their Multidimensional SELF. Most of humanity is using a very small percentage of their innate brain power, even as low as two percent. “How can this be?” you ask. The answer is that too many people do NOT want to know. Too many humans are too busy just getting through the day, staying married, keeping their jobs, and raising their children. It is no accident that humanity is faced with this challenge as Gaia’s frequency is moving more into the fourth dimension and even towards the fifth dimension. How does the experience of “living on 3D Earth change with each frequency of reality? When one’s consciousness can only resonate to the third dimensional frequency of Gaia, they are often “just making it through the day.” If they are happy, they will have good/happy days more than sad/unhappy days. On the other hand, if their consciousness can resonate to the fourth dimension, they have a greater ability to choose what they want to experience in life, and make sure that they can do so. However, outside of their dream world, friends and some creativity, they are usually unaware of the higher frequencies of reality. But, if they are able to allow themselves “time” for creativity, love, friends and a happy family system, they may well feel happy about their life. 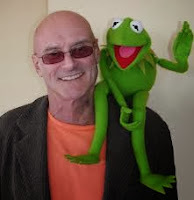 When one is able to resonate to their fifth dimensional frequency of themselves, they will likely find that their life is filled with purpose, service to others, memories of higher dimensional realities, hope for a better future and follow through on one's ability to follow the quiet voice of their own inner, fifth dimension, and multidimensional SELF. It is this latest group of humanity that are among the first ones to have dreams, meditations and experiences in which they have realized that there is much more to life than that which can be seen with your daily perceptions. This group of people are meditating, making time for creative activities, assist the planet and are always willing to help others to also remember that there is much, much more to life that is just beyond the illusions of the third dimension. Many of these people have decided to document their dreams and higher dimensional experiences and are even sharing them with others. In this manner, they are realizing that there are more people than they could imagine who are also having visions, dreams, and inner messages from an unconditionally loving being. 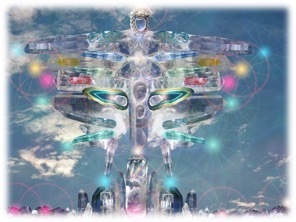 We, your Galactic Family, have chosen many of you to be the first ones to take a human earth vessel and incarnate on planet Earth to assist with Gaia’s Planetary Ascension, as well as the inter-dimensional fly-bys and short term landings on Gaia’s planetary body. 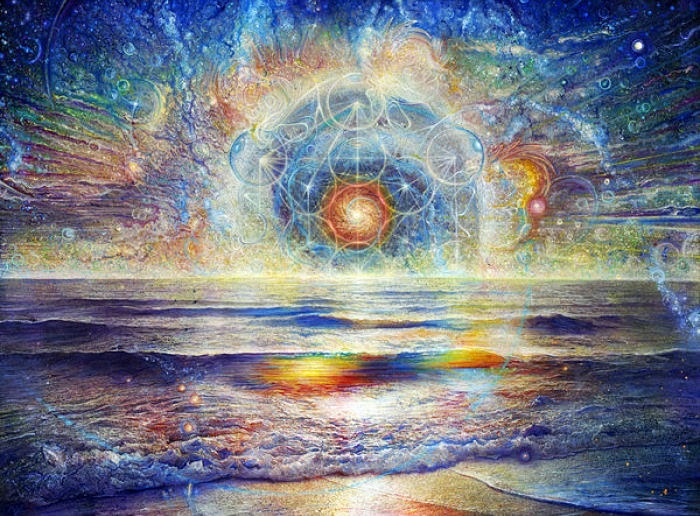 In fact, many of you are having and remembering experiences which could only be called “inter-dimensional.” Whereas “dimensions” once meant “a way to measure space in your third dimensional life,” may now mean higher dimensions of reality that are totally real and that you “seem” to be visiting during your dreams and meditations. You are among the Galactics who chose to take an earth vessel on Gaia and go through the process of remembering your own Galactic SELF. More of you are remembering these “dreams,” or actually seeing a huge cloud that looked just like a Starship. 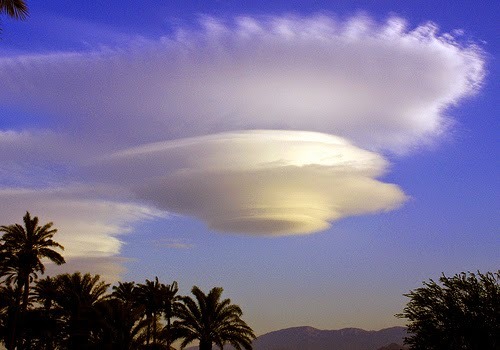 If you see a cloud that looks like a Starship, please remember that you are most likely seeing a Starship that is cloaked within a cloud, or the illusion of a cloud. We, your Galactic Family, deeply appreciate all of you who are willing to believe that reality is NOT just limited to the third dimensional planet. You are remembering that you chose to take an earth vessel within this NOW so that you can experience the “Dawn of a New Inter-Dimensional Era” of reality. Some of you, in fact more and more of you each day, are beginning to remember what you always knew—but you forgot! YOU, the ONES who are awakened and awakening within this NOW, have a wonderful opportunity to participate and enjoy the DAWNING of the NEW DAY. However, this dawning is not just of a new “day,” but the dawning of a new, higher dimensional frequency of reality. Just as you were likely nervous when you first started school as a young child, went away to college and/or got a “real job” as a young adult, you are now having the opportunity to experience a brand new way of thinking. "I AM AN INTER-DIMENSIONAL BEING WHO HAS CHOSEN TO TAKE AN EARTH VESSEL TO BETTER ASSIST GAIA WITH HER PLANETARY ASCENSION." Call us just before you go to sleep, and we will assist you to visit us in the higher dimensions. However, Gaia is a “free will planet,” so you need to ask, and we WILL answer! I am very grateful for all the encouragement you offer us here on earth. Thank you.